Tags can be automatically setup by using the One Click OPC feature that browses OPC Servers automatically and creates tags based on the OPC Items defined in the OPC Server. You can then delete tags from the configuration that you do not want. 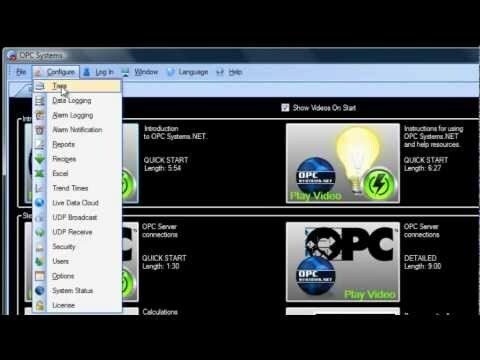 View the following 2 minute video on how to use the One Click OPC Feature or follow the steps in the table below. 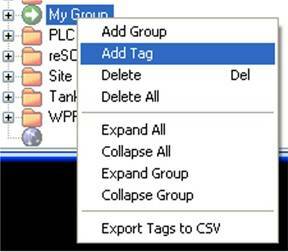 To begin the One Click OPC process you can either select an existing Group you have created in the Tag configuration and then right click on the Group and select Add Tag. 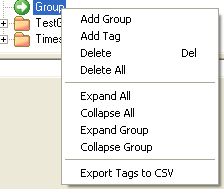 Then select the big button with the label “Add Multiple Tags from OPC Server”. Or you can just select the root level of service and use the Add Tag or One Click OPC button in the upper right. 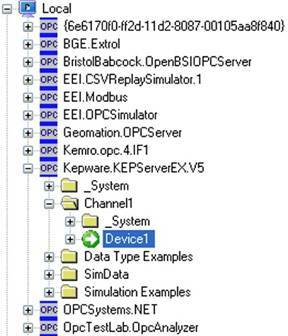 Use the One Click OPC Wizard to browse for a branch as a starting position within an OPC Server or just select the OPC Server name itself to add all items from the selected OPC Server. For the best networking design select OPC Servers from Local even if you are configuring a remote OAS Service. 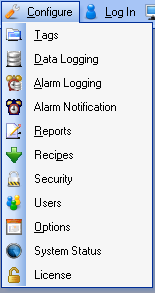 Select to enable the options to Get Data Type from OPC Server and optionally the Descriptions. Additionally if you want to specify to Trend all of the points select Trend Points. Click Add Tags and it will automatically add all of the OPC Items from the OPC Server Branch you have selected and all sub Branches beneath it.